Santa Barbara police officers had responded to the apartment that night after neighbors called 9-1-1 and reported a domestic disturbance involving a woman screaming. When the cops showed up, they found the woman and her 24-year-old boyfriend, who was suffering non-life-threatening injuries, including a cut on his left arm and a puncture wound to his chest. Police said Jasso had fled the scene. The victim was transported to the hospital for treatment; he has since been released. Crimes Against Persons detectives conducted a follow-up investigation and obtained a $30,000 warrant for Jasso and a search warrant for his residence on the 1200 block of Gillespie Street. 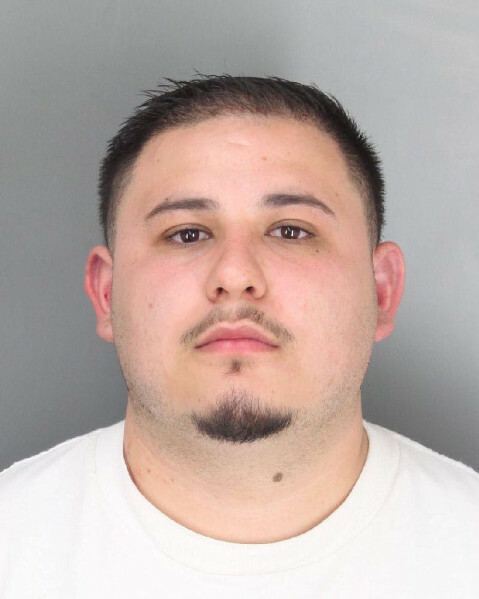 On Monday afternoon, detectives arrested Jasso at his work place on the first block of West Cabrillo Boulevard. Jasso was booked on charges of assault with a deadly weapon.